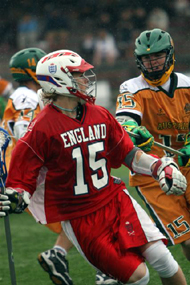 The U19 World Lacrosse Foundation is the legacy of the 2008 ILF Under 19 Men’s World Lacrosse Championships & 2016 FIL Under 19 Men’s World Lacrosse Championships that were held in Coquitlam, British Columbia. The Foundation is the result of these two very successful events and was established to support initiatives aimed at promoting the development of youth field lacrosse in the province of British Columbia. The Foundation will provide financial assistance for the ongoing development of youth field lacrosse programs in the Province of BC as well as the ongoing development of BC field lacrosse athletes to allow them to compete at higher levels. Assistance is available to any athlete 19 years of age or younger, related team or program sanctioned by the BC Lacrosse Association. In the spring of each calendar year, the Board of Directors of the Foundation will consider applications received from teams and individual athletes to award grants for the general development of field lacrosse in the Province of BC and to provide assistance to high performance field lacrosse athletes. General development assistance includes startup assistance for new clubs and volunteer development at the club level as well as field lacrosse programs that generate participation at the grassroots level for men’s and women’s youth field lacrosse. The Foundation will also provide assistance for club field lacrosse team expenses, Provincial field lacrosse team expenses and to individual athletes competing on Canadian National field lacrosse teams. Applications must be received by the Foundation on or before May 31st of each calendar year to be considered by the Board of Directions who will determine the assistance that will be provided by way of a grant in July of each calendar year.